This and 3 other objects are a part of a set whose first object is "American Modern" Place Setting, designed 1950, produced 1953. 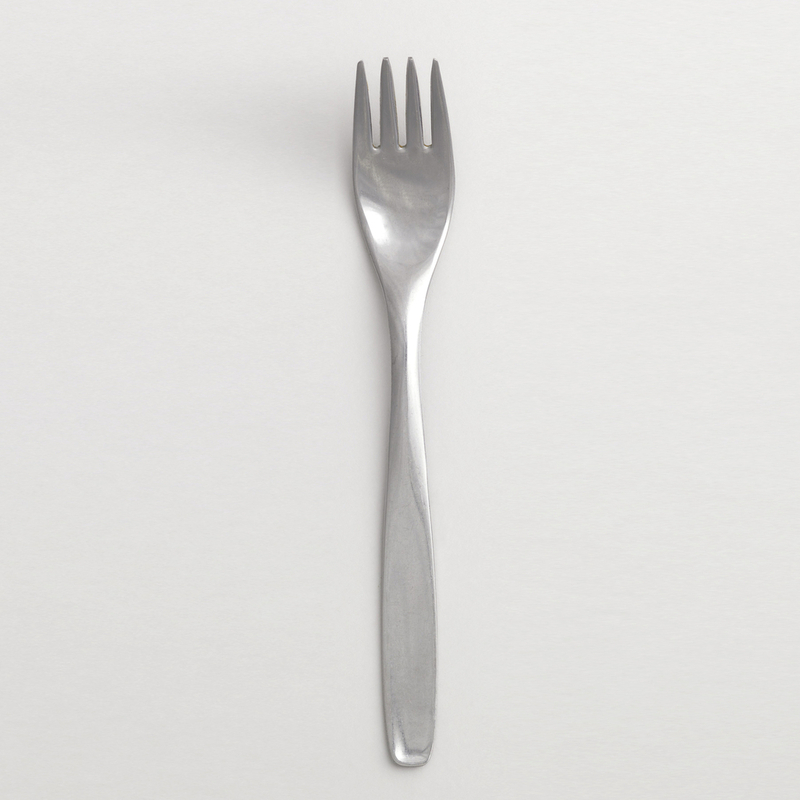 This is a Dinner fork. It was designed by Russel Wright. It is dated 1953 and we acquired it in 1976. Its medium is forged stainless steel. It is a part of the Product Design and Decorative Arts department. This object was donated by Russel Wright. It is credited Gift of Russel Wright. On reverse, stamped: "Russell Wright" in script, and "PAT PEND HULL STAINLESS".